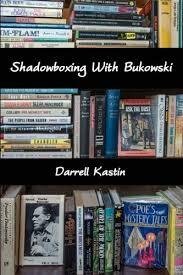 There is something irresistible about stories involving bibliophiles, and Shadowboxing with Bukowski presents us with one such story. The protagonist is a thoughtful and despairing man named Kastinovich who is given a used book store to run by his Father in the hopes that he might make something of it. Situated in San Pedro, the The Little Big Bookstore struggles to make money, as the protagonist buys more and more used books. The town is also home to the infamous Charles Bukowski, someone who becomes a focus of Kastinovich who seems determined to prove himself to this writer he admires so much. Despairing of the quality of literature his few customers seem interested in, the novel becomes a homage to the great and good of Los Angeles in the early 1990s. The sense of place is palpable and this lends the novel life. The encounters with Bukowski are fleeting but perhaps that is as well as it would be difficult to recreate this man convincingly. The book is very much the internal monologue of the protagonist and is by turns humorous and tragic. Kastinovich seems always to want something more than his life is able to offer him, whether it's the romance he engineers with one of his customers, or the excitement of love notes exchanged with his wife's alter ego. However, there is no escaping the fact that he is running a business into the ground. The novel appealed to me precisely because of its focus on Bukowski, though the story left me feeling something was lacking ultimately. The meandering thoughts of the main character are interesting at times and appeal to my inner literature snob as he descries the taste of his customers in favour of the 'great writers'. However, the story felt as though it just petered out rather than leading to any profound conclusion or element of true self discovery. It's an enjoyable read, but not one which will change your life. Thanks to the publishers for providing me with a free copy via Netgalley in exchange for an honest review.